Lauryn Hill is heading to Europe. 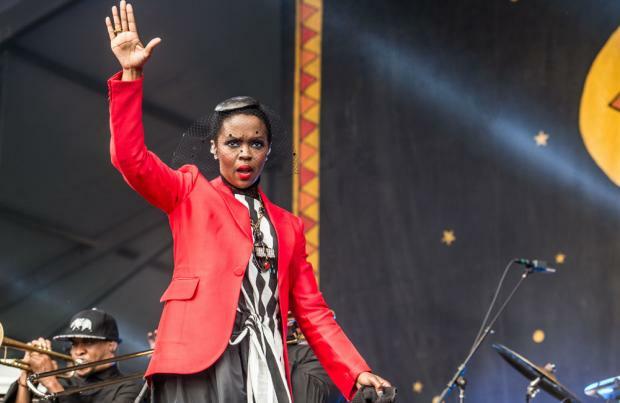 The 42-year-old singer is extending her world tour - which celebrates 20 years since the release of her debut solo album 'The Miseducation of Lauryn Hill' - by 12 concerts, with the European leg kicking off in Oslo, Norway on November 15. After that, she'll perform in Belgium and Paris before heading to the UK for four shows - in Glasgow, Manchester, Birmingham and London - as well as Dublin, Luxembourg, Holland, and Denmark before wrapping up the jaunt on 10 December in Stockholm, Sweden. Lauryn said of the tour: "This album chronicled an intimate piece of my young existence. "It was the summation of most, if not all, of my most hopeful and positive emotions experienced to that date. "I loved and believed deeply in my community's ability to both love and heal itself provided it received the right amount of support and encouragement. "Our world today, both complex and changing, is in need of the balance between moral fortitude and cathartic expression. "I hope the love and energy that permeated this work can continue to inspire change with love and optimism at the helm." Tickets and VIP experiences go on sale on Friday (25.05.18) at MetropolisMusic.com. VIP packages include a photo opportunity with the singer, a chance to watch a portion of the show from the wings of the stage and a special selection of merchandise. They are available for a limited time through www.MsHillVIPs.com and Live Nation. A portion of ticket sales go to Lauryn's MLH Fund, which contributes support for education, health, agriculture, technology, and community based businesses and development initiatives.